Chinese New Year PENGYOU Celebration! Come celebrate the year of the Sheep and learn more about China and Project Pengyou! Join us to find out more about Project Pengyou and Chinese New Year. We will be selling Chinese New Year envelopes with “lucky money” (chocolates) and with tea bags. 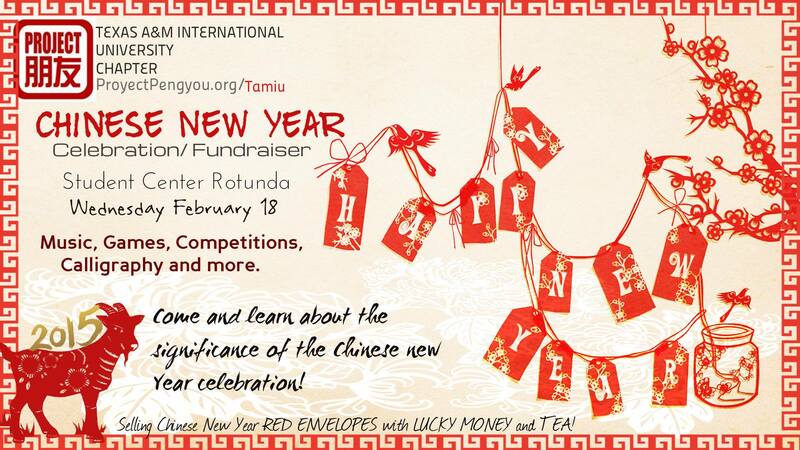 We will have fun activities, games, and very useful information about the Chinese New Year celebration. COME CELEBRATE THE YEAR OF THE SHEEP WITH US! !